Hockey Day in Canada is next Saturday (February 9th) in Peterborough. Should be a great day. 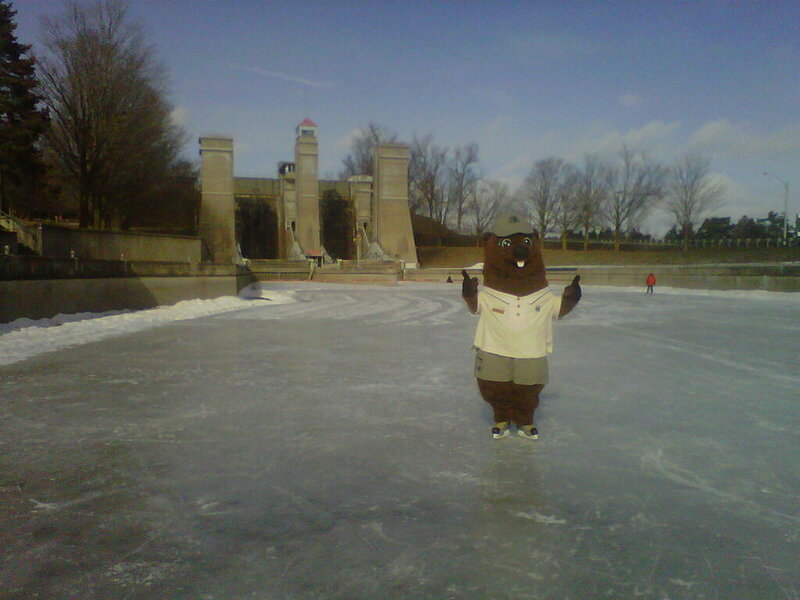 Parka the Beaver, Parks Canada's mascot, is ready. Let's hope that ice stays solid as a rock for the next week!